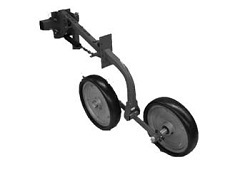 Hicks Machinery stocks a large range of mower parts and accessories. 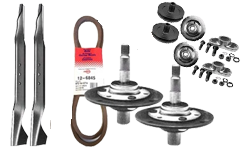 We stock accessories such as, Rotar shaft hubs & plate assemblies, blades and hardware, rotor housings, bearing kits, bearing housings, belts, pulleys & taperlock buches, drive shafts, gearbox parts, wheels & hubs and miscellaneous accessories and parts. When you need a part for your mower or ride on contact us and we can suply you with the correct part. Hicks Machinery has a large range of tillage equipment and accessories from leading manufacturers such as Liquid Systems, Gyral, Gason, Keech Agriculture, Farmscan Ag, Murray Agricultural Equipment, Agpoint Australia, Primary Sales, Schulte, Wonder Weld, Cunningham's and Goldacres. So when it comes time to buy tillage equipment or spare parts, Hicks Machinery can guarantee we have the right machine or part for you! 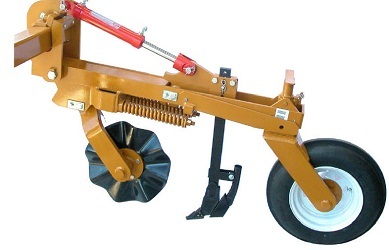 Hicks Machinery have a large range of implements available from press wheels, assemblies, tyre mounts, walking wheels, extension arms, seed tubes, gangs, packer wheels, coulters, ag bearings, ag seals, tyres, springs, u-bolts, harrows, swivel arms, bar mounts, spare parts, wheels, wheel centres, axles, overcaps, seal guards, hubs, stubs, quick release, rocker arms, adjustable arms, fixed arms, integral hubs, discs, gauge wheels, planter wheels, and so much more! Hicks Machinery has many more parts and accessories in store, when it comes to finding that special part you require, contact us and if we don/t have it in store we will source one for you. 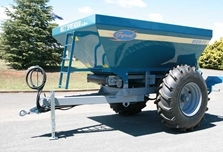 We also have a large range of farm machinery and can deliver within the Horsham district.